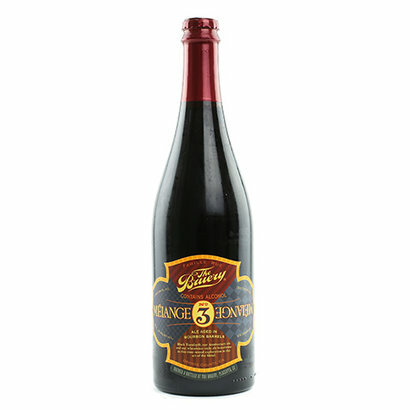 A blend of three ales with the longest lineage of the bourbon barrel-aging program from The Bruery. The Bruery Mélange #3 is a blend of three ales with the longest lineage of the bourbon barrel-aging program from The Bruery: Black Tuesday, the Anniversary Series old ale and the wheatwine-style ale. The flavors of this beer cannot be achieved outside of the art of the blend or by any one beer. This is one of the Bruery's originals melanges at its very finest!